Many companies believe Active Directory Federation Services (ADFS) is the best choice for applications to integrate with AD. After all, both Active Directory and ADFS are from Microsoft and ADFS is 'free,' so that should be the best choice, right? Not quite. 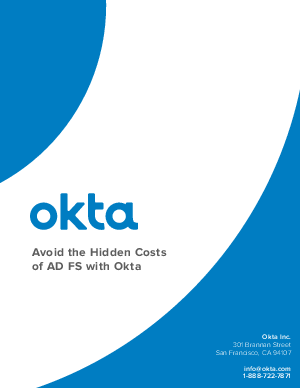 Read this whitepaper and learn what to examine when integrating cloud applications to AD via ADFS.